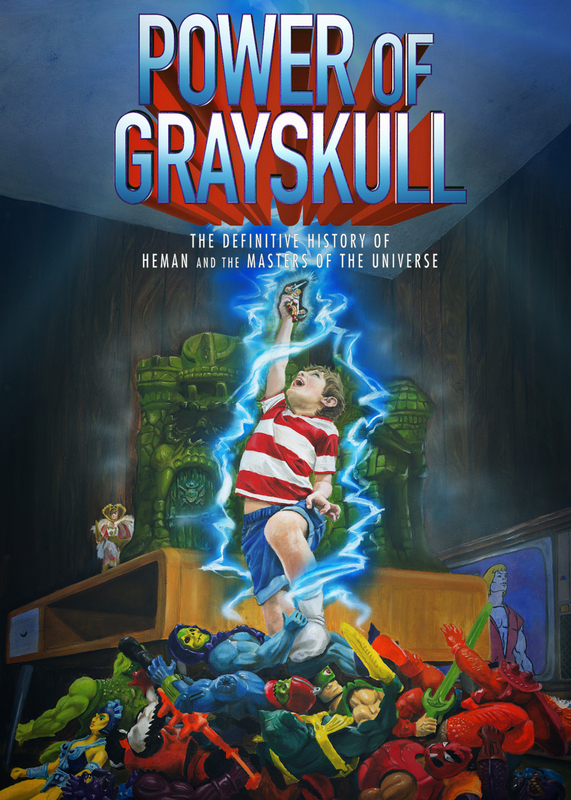 New on Netflix: He-Man Documentary "Power of Grayskull"
On Netflix – Power of Grayskull: The Definitive History of He-Man and the Masters of the Universe, the latest in FauxPop Media’s Definitive Film series, digs into the rich history of what has become one of the most beloved and enduring pop culture icons for millions of fans worldwide. 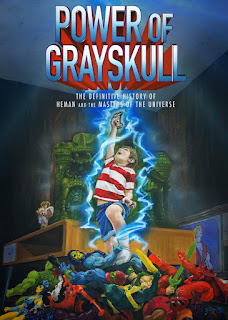 The documentary is a comprehensive & intricate look behind the scenes on He-Man & all things related to it, and covers a lot of ground over its running time. The documentary is the brainchild of Isaac Elliott-Fisher, Randall Lobb, Mark Hussey & Rob McCallum. I watched it last night and I noticed that they spent a lot of time on the Filmation cartoon. I really enjoyed it and that scene with little kid playing with his toys while watching the cartoon on TV made me really emotional... brought a tear to my eye, made me miss being a kid again. Were you a fan of He-Man and the Masters of the Universe? Did you collect the toys or watch the Filmation cartoon series? Tell us your story in the comments below! Im going to have to check this out! I Never saw the cartoon till I was in my early 20's (I had seen a bit here and there flipping through the channels but nothing that made any impact) My MOTU world was based off of the mini comics. I got my figures during the initial run, so the original mini-comics influenced my play. Later when DC Comics had the license, the backstory began to morph into what would eventually become the Filmation version. I was only able a watch few of the cartoons growing up, because I had begun to grow out of playing with action figures and watching cartoons by the time it was being run. The Cartoons are all on Netflix now though and they are fun to watch, even with all the Lou Scheimer cliches, such as the lovable buffoonish mascot character (Orko), and the hit you over the head with a mallet moral/lesson at then end. Watched this the other day. It was good. Seeing all the original artwork was the highlight for me. I was also glad to see it wasn't just a regurgitation of everything we just got in The Toys That Made Us. It was nice to see the development of the characters' backstories and how they progressed and changed as the during each stage of the line. I wish more time had been spent with the writers of the initial min-comics and the DC Mini-series. Wow! He-Man in Spanish... I'll have to look into that. Por el poder de Grayskull!